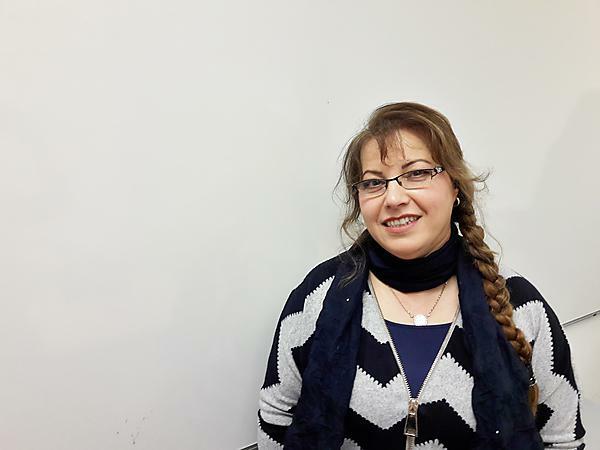 To mark Cervical Cancer Prevention week, a PhD student at the University of Plymouth has taken the first step to helping Iraqi women obtain better access to cervical screening. Suhaliah Ali, who is originally from Iraq, will use her research to educate gynaecologists about the importance of the pap smear tests – as there is currently no delivery programme in the country. In Iraq, cervical cancer ranks as the seventh most deadly cancer – with most cases presenting at a stage where it’s too late to carry out remedial treatment. Now Suhailah’s study, which explored the reasons behind the lack of a programme and the potential solutions for implementation, is delivering her findings to health professionals in her hometown of Kirkuk. “My study found that a combination of inadequate infrastructure, lack of education about the disease, cultural embarrassment, and widespread misconceptions about the disease’s origin all played a part as to why no screening programme has yet been put in place. It seems the country has struggled to regain lost momentum – as following the 1991 Gulf War and the international sanction regime during the 1990s, medicine imports declined by 85-90%, meaning health professionals were faced with diminishing resource while the health needs of the population grew. “I was inspired to undertake the project as I and a number of my students in Kirkuk have lost relatives to cervical cancer. The results of the study will provide a basis for making inferences not only about cervical cancer screening in Iraq, but also for countries with similar geo-political backgrounds that are still yet to introduce a screening programme. Suhaliah’s work has already earned her global recognition, as she picked up the award for Best Paper Presenter at the International Conference on Healthcare, Nursing and Disease Management in Dubai, hosted by Global Research and Development Services. The research, which she undertook as part of her PhD in maternal and child health nursing, is entitled Integrative review of cervical cancer screening in Western Asian and Middle Eastern Arab countries and is now available to view in the journal Nursing and Health Sciences (doi: 10.1111/nhs.12374).